1. Sumeet S., Blackshear J., Shen W.-K. Epidemiology and natural history of atrial fibrillation: clinical implications. J. Am. Coll. Cardiol. 2001; 37: 371–378. 2. Haissaguerre M. et al. Spontaneous initiation of atrial fibrillation by ectopic beats originating in the pulmonary veins.N. Engl. J. Med. 1998; 339: 659–666. 3. Pappone C. et al. Circumferential radiofrequency ablation of pulmonary vein ostia: A new anatomic approach for curing atrial fibrillation. Circulation. 2000; 102: 2619–2628. 4. Oral H. et al. A Tailored Approach to Catheter Ablation of Paroxysmal Atrial Fibrillation. Circulation. 2006; 113: 1824–1831. 5. Jalife J. Déjà vu in the theories of atrial fibrillation dynamics. Cardiovasc. Res. 2011; 89 (4): 766–775. 6. Moe G. K., Rheinboldt W. C., Abildskov J. A. Computer Model of Atrial Fibrillation. Am. Heart J. 1964; 67: 200–220. 7. Allessie M. A., Lammers W., Bonke F. Experimental evaluation of Moe’s multiple wavelet hypothesis of atrial fibrillation. Cardiac Electrophysiology and Arrhythmias. Orlando, 1985: 265–275. 8. Cox J. L. et al. Modification of the maze procedure for atrial flutter and atrial fibrillation. II. Surgical technique of the maze III procedure. J. Thorac. Cardiovasc. Surg. 1995; 110: 485–495. 9. Евтушенко А. и др. Хирургическое лечение фибрилляции предсердий у пациентов с врожденными и приобретенными пороками сердца. Вестн. аритмологии. 2004; 35: 16– 21. Evtushenko A. i dr. Khirurgicheskoe lechenie fibrillyatsii predserdiy u patsientov s vrozhdennymi i priobretennymi porokami serdtsa. Vestn. aritmologii. 2004; 35: 16–21. 10. 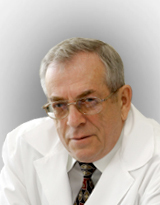 Pokushalov E. et al. Catheter Ablation of Left Atrial Ganglionated Plexi for Atrial Fibrillation. Asian. Cardiovasc. Thorac. Ann. 2008; 16: 194–201. 11. Wu M. et al. Long-Term Outcomes of Maze Procedure Plus Valve Replacement in Treating Rheumatic Valve Disease Resulting in Atrial Fibrillation. Ann. Thorac. Surg. 2010; 89 (6): 1942–1949. 12. Rahman N. M., Chard S., Thomas S. P. Outcomes for Surgical Treatment of Atrial Fibrillation Using Cryoablation During Concomitant Cardiac Procedures. Ann. Thorac. Surg. 2010; 90 (5): 1523–1527. 13. Pappone C., Santinelli V. Atrial fibrillation ablation: state of the art. Am. J. Cardiol. 2005; 96 (12A): 59–64. 14. Shen J., Bailey M. S., Damiano R. J. The Surgical Treatment of Atrial Fibrillation. Heart Rhythm. 2009; 6 (8, Suppl. ): 45–50. 15. Loc N. S., Lau C. P. Abnormal vasovagal reaction, autonomic function, and heart rete variability in patients with paroxysmal atrial fibrillation. Pacing Clin. Electrophysiol. 1998; 2: 386–395. 16. Pappone C. et al. Pulmonary vein denervation enhances long-term benefit after circumferential ablation for paroxysmal atrial fibrillation. Circulation. 2004; 109: 327–334. 17. Покушалов Е. А. и др. Новый подход в лечении фибрилляции предсердий: катетерная аблация ганглионарных сплетений в левом предсердии. Вестн. аритмологии. 2006; 45: 17–27. Pokushalov E. A. i dr. Novyi podhod v lechenii fibrillyatsii predserdiy: kateternaya ablatsiya ganglionarnyh spleteniy v levom predserdii. Vestn. aritmologii. 2006; 45: 17–27. 18. Verma A. et al. Approaches to catheter ablation for persistent atrial fibrillation. N. Engl. J. Med. 2015; 372 (19): 1812–1822. 19. Calkins Y. et al. 2012 HRS/EHRA/ECAS Expert Consensus Statement on Catheter and Surgical Ablation of Atrial Fibrillation: recommendations for patient selection, procedural techniques, patient management and follow-up, definitions, endpoints, and research trial design. Europace. 2012; 14: 528–606. 20. Charitos E. I. et al. Long-term outcomes after surgical ablation for atrial fibrillation in patients with continuous heart rhythm monitoring devices. Interact. Cardiovasc. Thorac. Surg. 2015; 21 (6): 712–721. 21. Damiano R. J. et al. Detection of Atrial Fibrillation After Surgical Ablation: Conventional Versus Continuous Monitoring. Ann. Thorac. Surg. 2016; 101 (1): 42–47. 22. Boersma L. V. et al. Atrial fibrillation catheter ablation versus surgical ablation treatment (FAST): a 2-center randomized clinical trial. Circulation. 2012; 125 (1): 23–30. 23. Kirchhof P. et al. 2016 ESC Guidelines for the management of atrial fibrillation developed in collaboration with EACTS: The Task Force for the management of atrial fibrillation of the European Society of Cardiology (ESC) Developed with the special contribution of the European Heart Rhythm Association (EHRA) of the ESCEndorsed by the European Stroke Organisation (ESO). Europace. 2016. Aug 27. pii: euw295. Epub ahead of print.